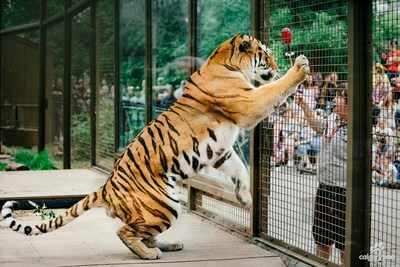 CALGARY, April 17, 2019 /CNW/ - The Calgary Zoo's annual Easter weekend offers plenty to do with activities ranging from the recently re-opened Prehistoric Park complete with a new fast access bridge, tiger training, the return of the butterflies and the popular pandas. Starting on Friday, April 19 and running through Saturday, April 20, guests will also enjoy free treats in several areas of the Zoo, axe throwing near Destination Africa, character experiences as well as face-painting in the Discovery Centre, and the ability to purchase a newly released collectible panda silver dollar from the Royal Canadian Mint. The Easter weekend at the Calgary Zoo is a very popular tradition for Calgary families. 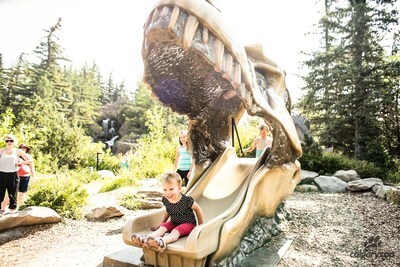 "We look forward to hosting our guests and enriching their experience through special activities while helping to make happy memories," says Roz Freeman, Senior Specialist, Special Events and Experience with the Calgary Zoo. 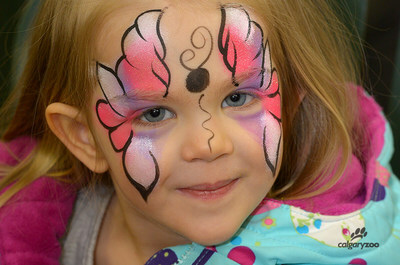 Guests can find a complete listing of events, purchase admission, or buy a membership at calgaryzoo.com/easter. Supporting the Calgary Zoo means supporting wildlife conservation.